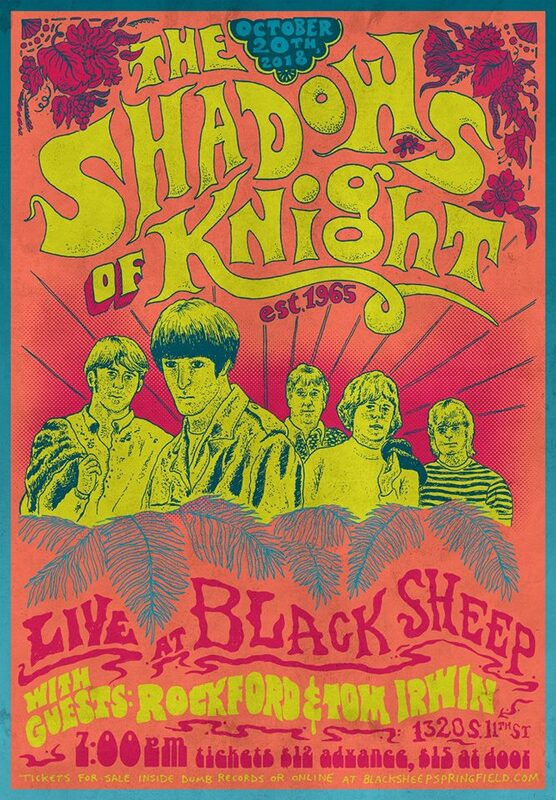 Black Sheep Cafe recently announced a show featuring The Shadows of Knight. The band, formed in 1965 and known widely for their version of “Gloria,” will be playing at Black Sheep on October 20. Rockford and Tom Irwin will open the show, and tickets are now on sale in-store and via the Black Sheep Cafe website. Check out the flyer below!